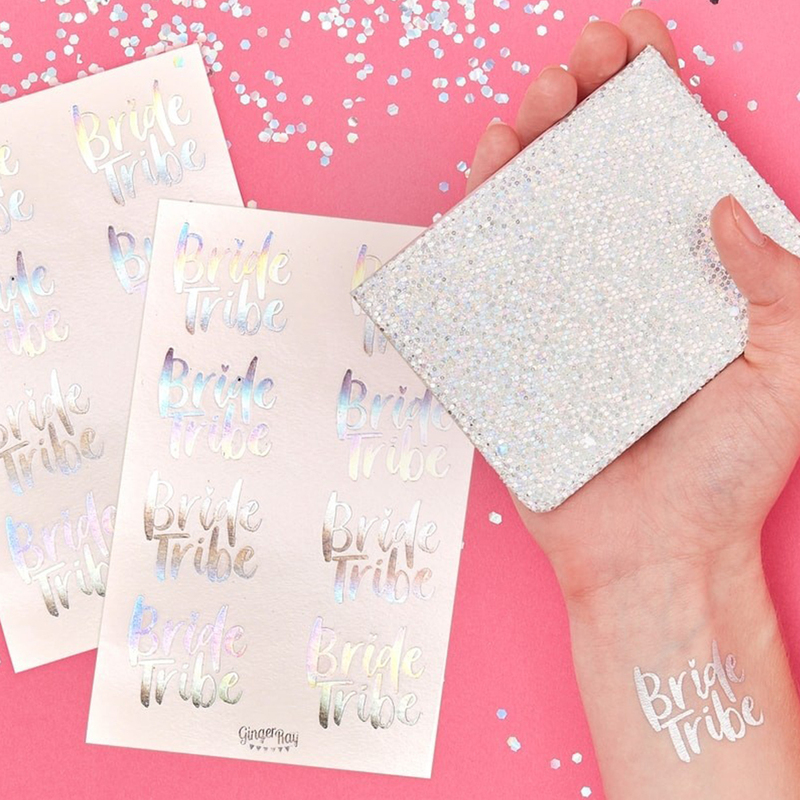 It's great to have something which really bonds the group together, these iridescent Bride Tribe temporary tattoos are a fantastic product for doing just that. The shiny iridescent colour makes these stand out really well and they reflect the light beautifully. 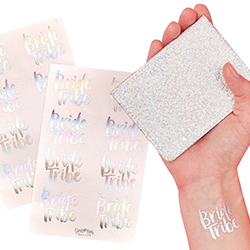 This pack contains 16 temporary tattoos in the Bride Tribe design, each one is around 4cm x 4cm and they are easily applied and removed.